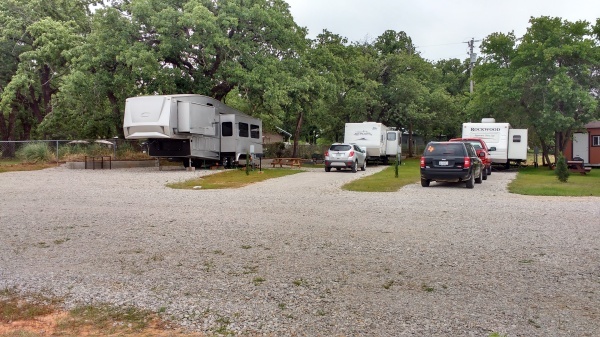 We are a brand new, full service RV park located near beautiful Lake Proctor just across the road from the Corp of Engineers Copperas Creek Camping area. We are near PAR Country Club Golf Course and two of the areas favorite restaurants. 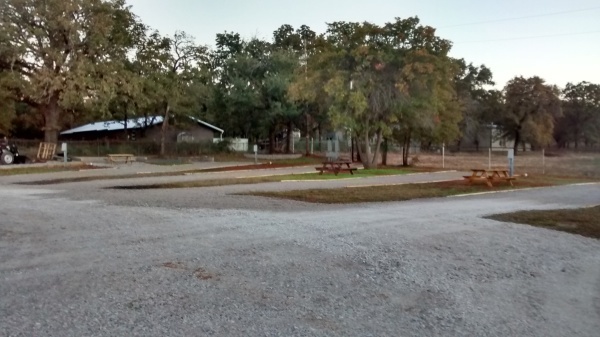 Convenience store, boat launch, and live bait for fishing are nearby. Prices effective for one or two people per site. Add 3.00 per day, 10.00 per week, or 25.00 per month for each additional person. 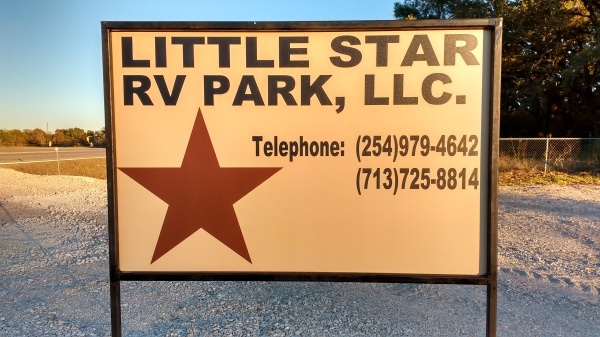 Golfers can get discounted golf at PAR Country Club with any stay at Little Star RV. Pay one green fee and get one free if you rent a cart. Or get $5.00 off your green fee if you don't have a golf partner with you. Just two country bumpkins who like to RV so they decided to put in their own RV park! Questions? Just give us a call. Delicious Mexican food restaurant nearby, as well as Country Pickins full service restaurant for breakfast and lunch. And don't forget the burgers next door at the convenience store. 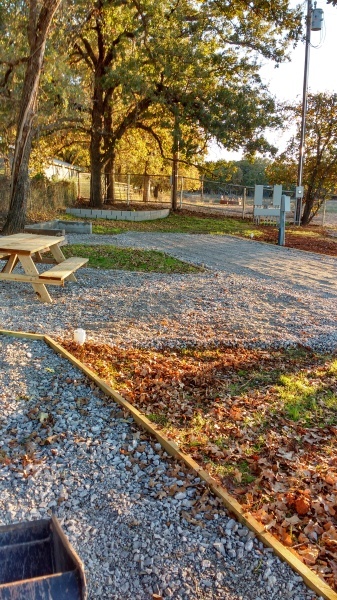 Besides the lake area to enjoy, check out the Chicken House Flea Market on Hwy. 377, less than 30 minutes away, every 2nd and 4th weekend at Stephenville/Dublin, Tx. Par Country Club offers discounted golf to our customers with proof of stay. It offers a swimming pool in the summer, a room to rent for special events, ie. reunions, parties, etc. Come stay with us when you play in their tournaments and special events. Check out their website or call them at 254-879-2296 to find out more..
During the Christmas season be sure to visit the Comanche Courthouse Square for a delightful array of Christmas music and light show.